Retargeting on Facebook, for digital marketers now advertisers, true conversion and application downloads, and has become an essential tool that is certainly contributing to the improvement of major indicators such as lead generation. In this time AdRoll, to analyze the trend of the results and criteria for an ad campaign data utilizing AdRoll (campaign data of more than 55,000 that have achieved 370 billion impressions in all the world), was summarized in the report. 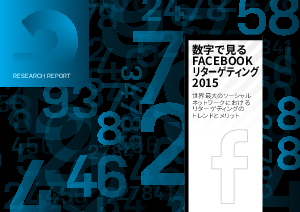 Global average of AdRoll retargeting budget on Facebook would have increased by how much? Normal AdRoll retargeting campaign advertisers add expand the Facebook retargeting to the will of outcome improvement of how much has been obtained? What will was the reason why B2B marketers who has changed the concept of Facebook is? Dynamic, personalized creative ads, does it raised the outcome much in comparison to the static advertising? If you have normal add expand the mobile retargeting to AdRoll retargeting campaign, what is the increase (also what is decreased) was?